The Snow Ball is an exciting, fun-filled, 3-day Global competition in Minneapolis, Minnesota, with a free shuttle to the Mall of America and the airport. ARRIVE EARLY OR STAY A LITTLE LONGER TO EXPLORE THE GREAT THINGS TO DO IN OUR CITY. "The first public art gallery in the upper Midwest when it was established in 1927. Today, housed in a larger center that opened in 2005, it's a world-class destination for viewing contemporary art and media." 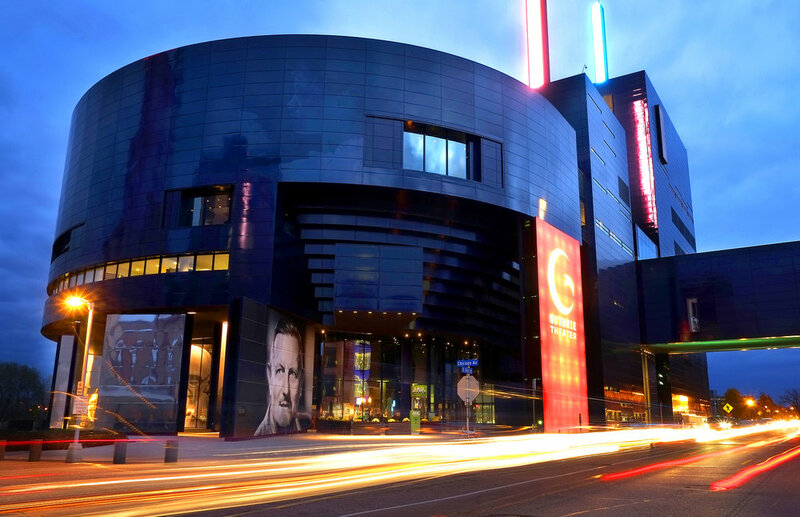 "The Twin Cities theater scene owes much to the internationally acclaimedGuthrie Theater. Founded in 1963, it offers classic works and a dash of contemporary plays. 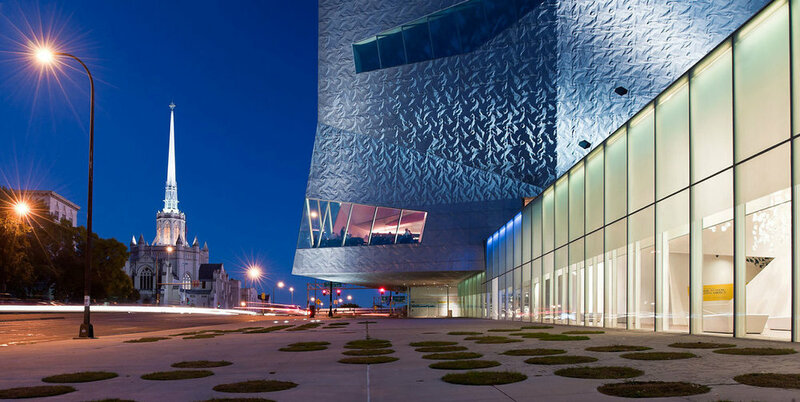 Four restaurants offer a variety of dining choices, and a variety of tours – including backstage, architectural and self-guided – round out the Guthrie experience." "The world's largest mill -- the Washburn A. Mill -- ground enough flour in a day to make 12 million loaves of bread. The Minneapolis building now houses theMill City Museum, which re-creates old-school flour production days with period equipment, railroad cars and a floor-by-floor tour in a giant freight elevator. The glass elevator rises from the rubble of Mill Ruins Park, with the iconic Gold Medal flour sign overhead." "Built in 1910, this 1,058-seat Saint Paul icon is Minnesota Public Radio's largest studio and site of A Prairie Home Companion. The theater also hosts a variety of other programs, including Minnesota Ballet performances, movie parties and musical performances." "A stunning recent expansion showcases highlights of an enormous collection, with nearly 80,000 works that span over 5,000 years of human history. The renowned Asian art collection is a must-see, as well as the European exhibit and the Modern and Contemporary galleries (pictured at left). Pick up a brochure for a self-guided tour of the Minneapolis Institute of Arts, or join a public tour. Admission is free." "On the Saint Paul riverfront, engaging permanent exhibits mix with top traveling shows and breathtaking Omnitheater movies." "Frank Gehry's gleaming silver building houses the University of Minnesota's collection of more than 20,000 objects, including numerous pieces of American modernism. Free admission." "At this playful, kid-friendly museum, visitors can grab a hard hat and walk through a re-created Iron Range mine with loud hands-on drill simulators — or crank up a Model T, pretend to ride a streetcar, pull or push a pioneer's hand plow and sit in a tipi to hear a Native American artist talk about his culture. Other permanent and temporary exhibits offer guests more hands-on fun and history." "The Saint Paul Chamber Orchestra and Minnesota Opera perform at this newly expanded space, which also presents touring Broadway productions." Orchestra Hall, one of Minnesota's cultural and architectural touchstones, opened in 1974 as the home of the Minnesota Orchestra, and since then has drawn upwards of 10 million people to its concerts. The Hall, located in downtown Minneapolis, is particularly renowned for its acoustically brilliant space providing a superb aural experience.